Based out of Florida, USA, the client is a well-known name in the field of end-to-end investment banking service provisioning. Working as an enterprise accelerator, the client specializes in connecting, navigating, and supporting a clear route to capital for their customers, while helping them to perform well in the constantly changing market. With over a decade and a half experience in the industry, the client is a pioneer in the investment banking sector and has also created a disciplined deal process with exceptional, result-oriented experience for their customers. The client needed help to prepare a financial model using the historical data of 12 months from October 2016 to October 2017 and a forecast for 5 years. The client was looking for business valuation services like Discounted Cash Flow (DCF) for a project to raise $88 million VD funding. 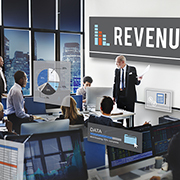 In the initial study our financial analysts faced some challenges like identifying the number of revenue streams to add to the financial model. There were some unique data discrepancies, which needed clarification from the client. Our proactive team raised the right questions with the client to get the inputs, which helped us in preparing financial models that precisely catered to the client's requirement. Our team was able to successfully complete the financial models and garnered client appreciation. We provided the required investment forecasting to help the client make better informed decisions. Outsource2india has a dynamic team of financial analysts who are skilled to provide financial research services along with other specialized services like market research, business research, pharma research, etc., to offer comprehensive research support to our growing number of clients. Outsource2india is an outsourcing firm offering a gamut of financial research services including fixed income research. Other services we provide include asset management support, business valuation services, investment research, financial modeling, etc. With over 20 years of experience in providing research support services to a wide range of industry segments, our financial modeling services strengthen client's decision-making process. To understand how we can help you with your financial research requirements, just get in touch with us today.